We know that being without a vehicle can be a huge inconvenience. Almost all of our customers receive a FREE loaner car while their vehicle is being repaired. We have a huge selection of vehicles available at any given time and are happy to help you stay mobile. We are proud to have Enterprise pick up and drop off on site at each of our four locations. Auto Body Xperts is locally and family owned. We take great pride in our West Michigan communities and have been providing quality service for over 60 years. To learn more about how we are involved in our communities, follow us on Facebook or subscribe for our e-newsletters. We guarantee our work. 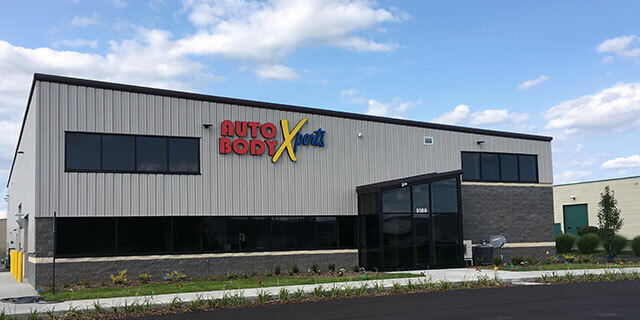 In short, if the repair work performed by Auto Body Xperts on the vehicle becomes defective under normal use, Auto Body Xperts will, without charge for labor and materials, repair any work which proves to be defective. To learn more about our guarantee, you can download the full terms of our warranty. Our Xpert Rewards program is second-to-none. Program benefits include FREE car washes, exclusive offers, gifts and other exclusive event invitations. Sign up today. Stop in to one of our four locations today or fill out our online quick estimate form from the comfort of your own home. We are ready when you are, so walk-in estimates are welcome. As a leader in West Michigan in collision repair since 1948, we understand the needs of the insurance industry. When you send your insured customers to Auto Body Xperts, your customer will be delighted with the quality and convenience of our work. Our priority is to ease the burden that could exist with having your vehicle repaired. We pride ourselves on our excellent customer service and consistently quick turnaround time. When the repair process on your vehicle begins, our internal processes promote quick and efficient steps to cycle your vehicle through to finishing with ease. If you are unable to make it to one of our facilities, we will come to you with our mobile estimating services. In addition, we will pick up your vehicle and deliver it to you repaired and detailed! We offer a 6-month interest free financing program through GE Capital called Car Care One. This program allows our customers a great financing option right at our location. The Car Care One program is subject to credit approval.